The invitations went out without a hitch. The thank you notes arrived. The RSVP’s immediately started to roll in. But yesterday we received one reply card that made my jaw drop. Tech Support has friends who represent many different ethnic backgrounds and religious traditions. 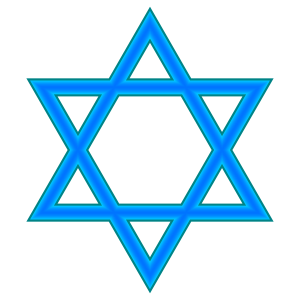 Not everyone has attended a bar mitzvah before, so I expected there might be questions about what to wear to the synagogue and how long the service would last. I anticipated lots of other things, too. 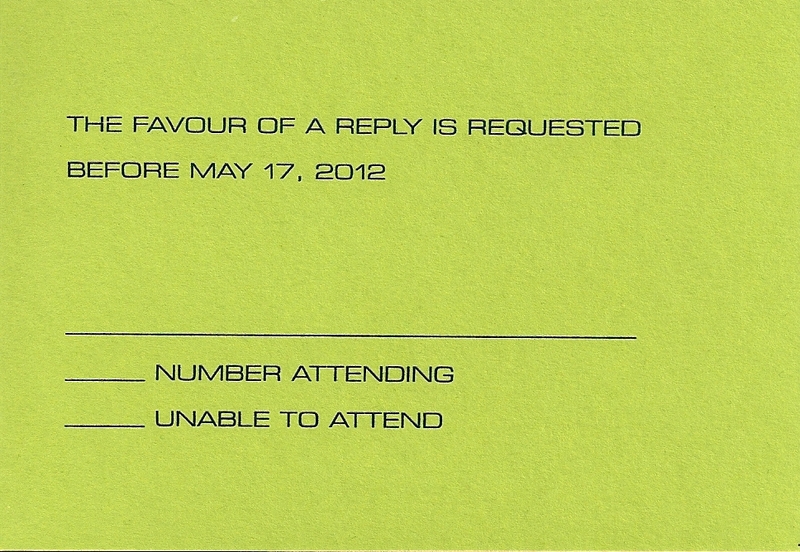 But I did not expect issues with the reply cards. It seemed very clear when we designed it. And when we addressed our envelopes, Tech’s friends received invitations with their names on the envelope. At first, I thought Wu was screwing with me. But I realized he wasn’t. I freaked out a little searched to find the school directory to try to locate Wu’s telephone number. I called the school to see if they might help me. “We can’t give out phone numbers or email address if they are not listed in the directory,” a voice on the other side of the line explained. Fifteen minutes later, the woman from my son’s school called me to tell me that she had reached the father. She assured me that he would call. I waited by the phone. But it was never *them*. Eventually, I composed a letter that so so awkwardly explains — while Wu’s family is welcome to attend the service and the light luncheon which will be served after the service — the evening invitation and party is reserved for Tech’s friends and family members. …Or if I should just send it in the mail. And I’m pretty sure I’m about to be considered inhospitable. Please share your special occasion snafus here. I need a laugh. This entry was posted in Jewish Stuff and tagged Bar and Bat Mitzvah, Judaism, party planning, party planning confusion, RSVPs. Bookmark the permalink. Mail. Definitely. Leave Tech out of it. That’s what I’m thinking. Right? Mail, because to entrust the delivery of a note via two 12/13-year-olds is a recipe for failure. As for being seen as inhospitable…what can you do? It’s a cultural difference. The invitation to attend the service and the lite lunch afterwards is very hospitable. You will not be totally undone by the Bar Mitzvah, only partially. As a side note, I love working with the 7th graders at the Orthodox Jewish school and hearing about all the Bar and Bat Mitzvahs. Enjoy this time, stressful as it is!! Hi Carrie. Thank goodness my son keeps me enjoying things. I love to listen to him chant and sing in the shower. Heh heh. Yesterday, he held the Torah for the first time and practiced what it will be like to walk around the sanctuary. Amazing how they grow up. He looked like a man! I mailed the response this morning, and I hope Wu’s family finds my words hospitable. Most of all, I hope they are not offended. That would be terrible. But seriously, I cannot bear the thought of having a table of strangers at my son’s simcha. Great story, Renee. I can only imagine the uncomfortable feeling, but know you will get through it. I guess Wu didn’t notice that the envelope didn’t say “Wu + (8) guest(s)”. Oh, wow, Renee! My snafu, if it makes you feel any better: at our wedding, in the middle of the ceremony, my husband’s best man realized he left the ring out in the car. There was a whispered consultation, during which the priest suggested we “fake it,” but since this was the only time I was planning on getting married, I didn’t want to “fake it,” so the priest made a little announcement and waved up to the organist in the choir loft “play a little something for us, Christa!” while the best man sprinted for the car. Embarrassing, but even funnier now than it was at the time. Glad I didn’t “fake it”! Hang in there – it will be over soon! Hi Renee, I think that unless someone is familiar with the customs of our standard “Bar/Bat Mitzvah Fare”(that have years of rich history!) it’s hard to explain that “you just don’t do that”. When planning J’s bat mitzvah, one of her school friends’ replies came back with the parent names added for the Saturday night dinner-and I had never met these people! I couldn’t bring myself to call and say they weren’t invited, so I put them on the seating chart. They had a great time, but I’ve never even run into them since. On the other hand, at A’s bat mitzvah, we invited parents of a close friend of hers to the dinner. None of the three showed up, and I never even got a call of apology. Good Luck and Best Wishes! Lisa: I think I’m meaner than you are. I just can’t have people that aren’t a part of Cal’s life (or, at least ours) at the evening party. So I mailed the letter out today. Hopefully Wu will still be allowed to come without his entourage. Hey, Lisa, you broke even. Extras one time and no-shows the next. As one who has been more on the snafu side of cultural things and misreading them, you could just let them come. IF they are Chinese (and I’m guessing from their name they are), they will show up with a great present. Knowing who is invited to what can be so confusing! Hope this is the worst of the snafus! Amy: They aren’t necessarily Chinese (I changed a few details so local folks wouldn’t necessarily recognize who I’m writing about). But there is a cultural difference, and I did my best to address this in my letter while still keeping things short and sweet. PS-don’t take it personally-also, don’t assume the parent speaks English…. I don’t know whether to laugh or cry when I read this blog. You must keep us informed what happens the day of Tech’s Bar Mitzvah. Omg!!!!!!!! I have never heard of this happening, but I can see how it could. You have to mail the letter. The parents/ family members will understand and be grateful that you explained this to them. I think! Hope! Oy! Good luck! And mazel tov! Thank you for keeping us apprised. Friends of ours when through this last May, ’11. So much work and so much fun! I was thinking the same as Lisa – it is telling that only one name was in English. The parents might not understand English, so they might not be able to understand your letter. Unfortunately, if you are adamant about not having all 8 guests attend, you might have to get Tech’s friend involved to translate (unless you can find an adult who speaks the language). Or attempt “Google Translate” for the letter. In general, I think most people know that the invitation is only for the person(s) to whom it was addressed. It is the same for weddings, formal parties, etc. no matter what the religious affilation. Different cultures, however, might be a different story. Not sure. I decided not to get Tech or Tech’s friend involved. It’s uncomfortable enough to have to deal with this stuff in school. Other students ask: “Am I invited?” or “Why didn’t you invite me?” That kind of thing. So, I have their snail mail address and I mailed out my letter this morning. Hopefully it will help to clear up a few things. And maybe I won’t come off as a d-bag. Welcome to Bar Mitzvah planning, I feel for ya! I had a friend (well, we’ve hardly spoken since) when I was planning my eldest child’s Bat Mitzvah. She wanted to come. She was from out of town (as most my friends are). She wanted me to arrrange rides for her to and from her hotel for the entire weekend because she didn’t want to shell out the $$ for a rental car after paying for plane fare and a hotel room. i offered her to stay at one of my generous neighbors who are really like my surrogate mommies up here. No I gave her the emails of all the other guests who are renting cars so she could coordinate her own rides. Nope. She ended up not coming because it was too costly. Mind you she lives in a McMansion and her husband is a pharmaceutical exec, no I’m not bitter. Yes, it is a trying time, but he is going to be great! and by the way, Mazal tov, that’s what it’s all about! S: How awful that a friendship had to become strained as a result of your daughter’s bat mitzvah. Sadly, I know this is not the first time that these events have caused strife for people. As far as where and how your friend and her husband live, I learned a long time ago that you never know how people spend their money. Appearance is an illusion. So maybe they live in a big house, but maybe they spend everything on that house and they really needed a reason NOT to come to your simcha because with the travel and the gift and the clothes, well.. it can get expensive quickly. Oh my. I can’t tell you how many times I’ve seen that happen when helping plan events. One event I helped with, we went the extra mile and wrote numbers in BEFORE we sent the cards, in an attempt to make it clear that the invite was only for that number of people. We still got “write ins”. Our big event snafu? Our wedding. My husband forgot his pants. Must have made for an interesting ceremony, Amber. Hahahaha! I forgot to ask: How did he forget his pants? 😉 Good times. Good times. Yikes that is uncomfortable. It reminds me a bit of someone stressing that they got invited to someone from work who they don’t hardly see’s wedding and were fretting about the present etc. It’s so uncomfortable! I’m pleased to report no uncomfortable issues at present *phew* Good luck! I’m not even thinking about presents! I just want the day to be filled with faces I recognize! 😉 Glad to know things are going smoothly for you to date. p.s. One day after the Bar Mitzvah could you please blog about how to get your FB profile page as your blog rather than your personal one? I’d really appreciate it, cheers! When we had Annika’s first communion—or mini-wedding, as it is done in Spain, whad people change the numbers coming 3 times up until the day, then he came, she didn’t—and I had over 15 people come late and miss the dinner I paid for! Love it! Oh, my. I can only imagine the conversation that will go on in Wu’s house when he translates that letter. For our wedding, I asked people to RSVP via email (I was living in the Middle East / the wedding was in Canada). I made up an email address…something like leannewedding@yahoo.ca. but sent out the wrong email: leannewedding@yahoo.com. OF COURSE you put the wrong email address on the invitation! Did you have enough food? Were there any total surprises as a result of that snaufu. What a dilemma . . . eek. I agree with everyone who says you should do it by mail. If you’re worried about coming off as inhospitable or rude, make up some sort of “About Bar Mitzvahs” sheet and pretend you’re sending it to everyone–and on it you can mention the different events and who comes to what. Okay, maybe I just overcomplicated things . . .
A: I think that is exactly what is going on here. I already sent out the letter of clarification. I ran the content my bestie this morning who said it was short but sweet. I would assume any invitation I received included my wife, but not all my kids and grandkids and neighbors. However, I wouldn’t kinow what to wear to a Bar/Bat Mitzvah if there’s a special protocol. Maybe some explanation for gentile’s would have been a good idea. BTW, I’m glad you mailed the letter instead of giving it to Tech Support. In our community most of these kids have been to several at this point in the year, so they know. In the morning they can wear suits and ties or dress pants and button-up shirts with a jacket (or no jacket). Jewish kids tend to wear ties at our synagogue, adult definitely do. One would NEVER wear shorts. EVER. It’s like in a Catholic church, where you are supposed to be modest and cover up. So for girls, shoulders covered and skirts *ahem* not too short. Or girls can wear dresses or pants. At night, women will qwear everything from short cocktail dresses to full length gowns. Men usually show in suits and then strip off the jacket and tie. The boys follow suit. Frankly, I’m not too worried about what people wear. That’s not the issue. People just need to be respectful in temple. Oh, and they need to complimdnt Tech tell him how fabulous he was. You’ll obviously look fantastic. The other mothers will all be jealous. Oh what a pickle! I hate those kinds of situations… my whole life is in one of those right now…I’ll tell soon. You’ll figure it out. You are kind and encouraging. I did feel a little pickled, I must say. But the word on the street is they are coming to the service and the luncheon. And they are allowing their son to attend the night time party unchaperoned. Phew! Oh NO! You’re KIDDING. Gahhhh. Hmm. Party snafus. I think you might have already heard about the time I showed up at the wrong Christmas Eve party…so… At our wedding, one of my hub’s insane relatives never left the venue (even though we had two shifts of buses -that we had to pay a lot of money for- bringing people back to the hotel), and the restaurant’s event coordinator said this relative went around to everyone at the bar asking for cigarettes, and then the event coordinator had the pay OUT OF HER OWN pocket to get this woman a cab because she had no other way of leaving. Okay, that is not a snafu; THAT is a disaster. But it’s funny now, right? Ugh, that’s a hard one. But you’re doing the a favor because the boy would be MORTIFIED if he showed up with his entire family while classmates did not. And now he’ll know for the future. I spoke with a parent this afternoon who explained in their culture everyone goes to religious ceremonies. It was Awk.ward. Totally. But I invited them to come to the service and to the luncheon. Fascinating, this process. Makes me feel like I need to call my parents and thank them for handling my bat mitzvah. And my wedding. Didn’t know about any of this stuff. Soon we might discuss high-maintenance guests and how to know if you might be one. My son received an invite to a (very wealthy) friend’s bar mitzvah. It was very fancy, like a book, personalized and all, including a response card preprinted with his name. Of course I (and others) talked about that invite and how the invites alone probably cost more than all of my son’s bar mitzvah, especially since they also hired a company to personally deliver them even after they paid for postage (which was more than $5 ea. and had personalized postage stamps). Anyway, your story made me think 6 yrs later that maybe the pre printing was not due to pretentiousness, but maybe to avoid exactly what happened to you. My husband and I were not invited 😔 but we were tempted to crash 😉. We held back so as not to embarrass our son. Thanks for this new perspective! Hi Ange! Squeeeee! I hope you are well. A private courier, eh? To make sure that people received them and o answer etiquette questions? Not a bad value perhaps, especially with the cost of postage these days! Giggling. My children are younger, but I can’t imagine much will change in 5 years (Jim is 7). Gotta go with mail!! Went with mail. But dad called before it made it home. So very awkward. I don’t know what to say… Oy. Bout says it all.